It’s Washington in 1967, and the District’s old reputation as a sleepy, southern city is being squashed by the feet of Vietnam War protesters and the voices of Washingtonians calling for racial equality. That same year, local theatre Arena Stage announced that, on December 7th, it would be putting on the world premiere of Howard Sackler’s play, The Great White Hope. At the time of its production, the play was completely unknown. No one would have imagined that 50 years later, the production of the now-Tony-winning show would go down in history as one of the most influential moments in shaping the political and cultural landscape of Washington in the 1960s. The Great White Hope is based on the true story of Jack Johnson, a boxer who, in the early 20th century, became the first black man to win the heavyweight title. Former Arena stage Artistic Director Zelda Fichlander felt that no other play at the time dealt “so feelingly and so profoundly with the most central and complex issue of America, 1967.” One critic, W.J. Helzlouer, believed that the play held a mirror up to a white audience member, allowing him to be “cognizant” that a certain character’s racist behaviors reflect “the same attitudes he has down deep in his heart.” Other audience members looked upon this “modern play” less kindly; some found the interracial relationship between Jack Johnson and Ellie Bachman (Jane Alexander), “so sharp that the actors in the show reportedly got death threats.” These heavily emotional reactions to the show demonstrate how pertinent the attitudes and dynamics surrounding race were to Washingtonians at the time, and provide some context for the riots that would ravage the city a few months later in the wake of Dr. Martin Luther King, Jr.’s assassination. The show moved on to Broadway, played 546 performances, and received Tony Awards for Best Play as well as Best Actor (James Earl Jones) and Actress (Jane Alexander). The awards were enough to brag about, but the even more impressive feat is that this was the first time a show would originate at a regional theatre and then go on to Broadway. Until 1967, Broadway shows would either start out in New York or have a Pre-Broadway try out, in which the already Broadway-bound show would spend a couple weeks in another city to work out the kinks. However, The Great White Hope was different because it was produced specifically for Washingtonians. Today, 99% of Broadway shows originate at regional theatres, a testament to how The Great White Hope marked a permanent change in how Washingtonians, and eventually the rest of the country, would watch theatre for years to come. Great theatre would no longer have to start in New York, but could originate anywhere in the country. The production demonstrated how regional theatre was changing, but it also showed how Washington was changing. Artist and longtime Washingtonian Lou Stovall recalls that The Great White Hope “brought people to the Arena stage who had never thought of going to a play. Everyone who could scrape up eight or ten dollars went to see it.” For the first time, D.C. began to gain the identity of being a cultural, rather than merely political, capital of America. Cultural growth in the District continued in the years that followed. The Kennedy Center and Wolftrap had their inaugural seasons in 1971, and D.C. saw a surge in regional theatres, including Studio and Woolly Mammoth. This regional theatre boom spread nationwide, with the number of theatres throughout the country growing from 23 in 1961 to 1,800 and counting. So the next time you hear about a regional production making its Broadway debut, just remember, D.C. did it first. ^ A&E Television Network, "Jack Johnson," Biography.com, accessed June 12, 2017, https://www.biography.com/people/jack-johnson-9355980. a, b "Arena Stage Launches 'The Great White Hope,'" Capitol Hill Spectator (Washington, DC), December 19, 1967, 7. ^ Don Rubin, "Vigorous Theater Adds Luster To Capital Life," New Haven Register (New Haven, CT), December 17, 1967. ^ "The Great White Hope," in Internet Broadway Database (Broadway League), https://www.ibdb.com/broadway-production/the-great-white-hope-3417. ^ One local example of a Broadway-bound production that had a tryout in Washington was West Side Story, which opened at the National Theatre in August 1957. ^ Washington in the '60s, produced by WETA, WETA, 2009. ^ 11 Washington in the '70s, produced by WETA, WETA, 2010. ^ Richard Zoglin, "Bigger Than Broadway!," Time, May 27, 2003, accessed June 12, 2017, http://content.time.com/time/magazine/article/0,9171,454479-2,00.html. 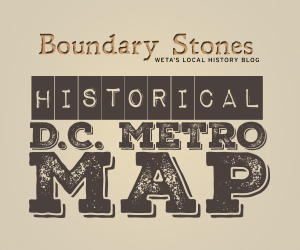 Political, social and cultural events shape Washington, D.C., during the decade.